Summary: A person commits DWI if they are intoxicated while operating a motor vehicle in a public place. Are You or a Family Member Charged With Driving While Intoxicated? If you or a family member have been arrested for Driving While Intoxicated anywhere in the Brazos Valley, contact one of our experienced DWI attorneys today. A Driving While Intoxicated charge that can lead to jail time, probation, fines, license suspensions, and the loss of career opportunities. It is putting it lightly to say that it can lead to irreversible impacts on your future. It is imperative that an individual charged with DWI obtain effective and experienced counsel. At the Law Office of James & Reynolds, we have Texas board-certified criminal defense lawyers who have handled thousands of DWI cases. Contact us as soon as possible to ensure that your rights and your future are protected. In Texas, you may have only 15 days after a Driving While Intoxicated arrest to request a hearing to save your driver's license. For Commercial Driver's License holders or others who drive for or to work, or even to take the kids to school, losing a driver's license can be a serious problem. We have extensive experience representing clients faced with the collateral consequences of DWI, including driver's license suspension, revocation, and reinstatement hearings before the Department of Public Safety. If you are subject to losing your license because of a Driving While Intoxicated arrest, contact us immediately. 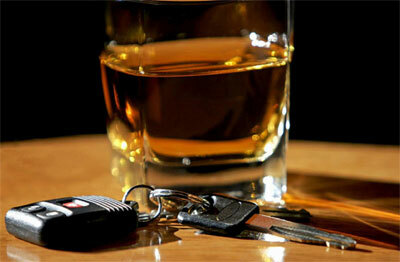 It is critical to hire an experienced DWI defense attorney at the beginning of the process. At the Law Office of James & Reynolds, we are experienced criminal defense attorneys that have unparalleled knowledge of the legal and factual defenses available to a person charged with Driving While Intoxicated. We immediately interview clients regarding the circumstances of their arrest, and then begin analyzing the case and preparing a defense. We possess the knowledge and ability to challenge the scientific validity of any breath or blood test. We obtain any videos taken during the stop and subject them to detailed scrutiny. We assess all the factors involved in the case, determine what pre-trial motions to file, prepare for driver's license revocation hearings, and focus all of our considerable experience and resources into protecting your rights. If you have been arrested for Driving While Intoxicated, contact us at the Law Office of James & Reynolds to learn how we can help.